When Simple Minds interrupted the recording of a new album of original songs to embark on an unscheduled acoustic project, the rewarding detour they took fundamentally changed their attitude to music. The band were already on a high following the enthusiastic response to 2014’s Big Music, a swaggering collection that reiterated the Glaswegian group’s world-class credentials. 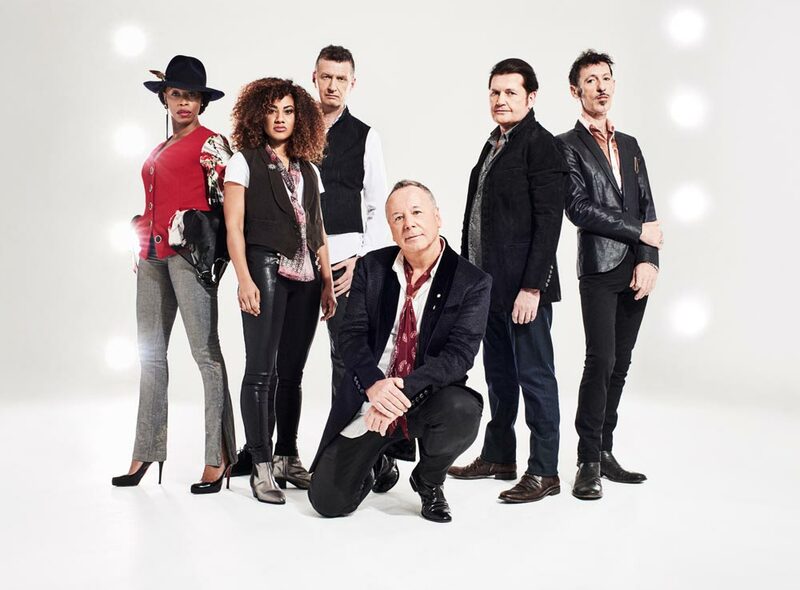 But it was the reaction that greeted 2016’s Simple Minds Acoustic, an organic revamp of hits such as Promised You A Miracle and Don’t You (Forget About Me), that prompted frontman Jim Kerr and guitarist Charlie Burchill to reassess how they went about their business. The album artwork, too, is emblematic of the band’s metamorphosis. Its central image is by the Brazilian visual artist Heitor Magno, whose work, as is the case here, is often a surreal montage of vivid coloured imagery and black and white photography. With the central character on the front cover bearing what Charlie says is an ‘uncanny resemblance’ to a young Jim Kerr, the sleeve could also be viewed as a telling throwback to the Sons And Fascination era.